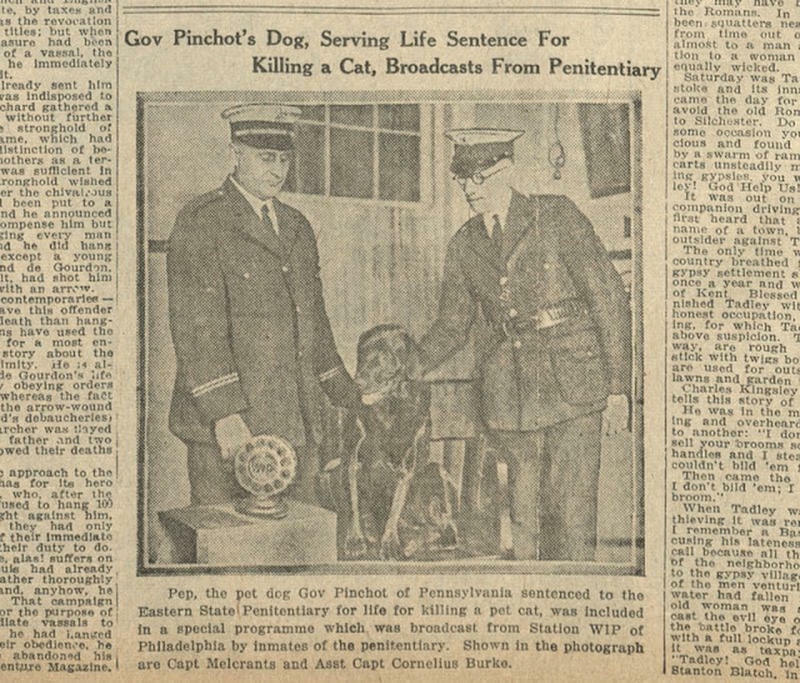 The photo below has been shared over and over in the internet captioned: "The Dog Who Was Sentenced to Life Without Parole for Murdering the Governor's Cat"
According to the story, Pep was sentenced to life in prison in August 1924. He allegedly murdered the favorite cat of Gov. Gifford Pinchot's wife. 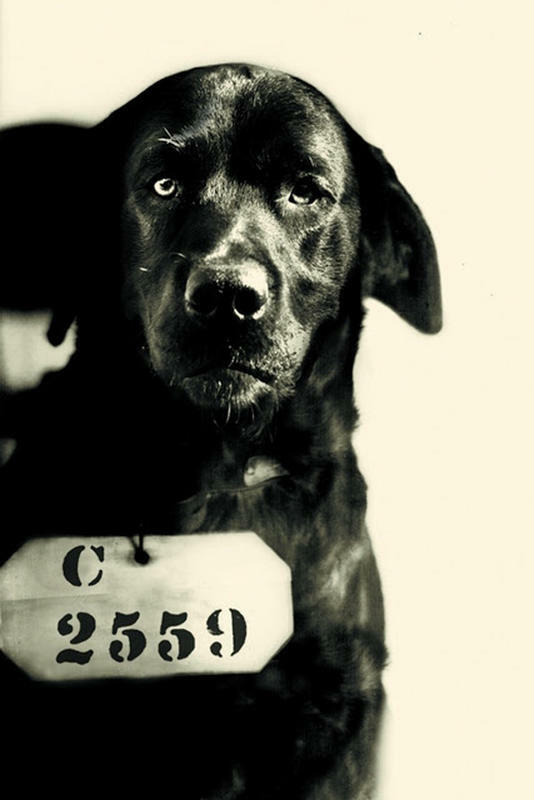 It was said that the Governor used his position to have Pep put in jail and be subjected to the same mugshot process as humans. Pep was even given a prison number: C-2559. As it turns out, that story is fake. Pep may be a 'bad' dog but he wasn't a cat murderer. The governor received Pep as puppy from a nephew of his wife. Pep was considered part of the family, but as he grew he developed a nasty habit of chewing up furniture. It got so bad that the governor's family considered of letting him go. One of his trips to Maine, the governor noticed how therapy dogs were used there to boost the morale of inmates. Upon arriving home, he discussed this with his friend Herbert Smith who was then the warden of Eastern State Penitentiary. Pep was then given to the state prison as a gift and it was there where the famous mugshot above was taken - either as a joke or as a publicity stunt. So How Did the Cat-Murdering Story Spread? It probably started by a newspaper reporter with a sense of humor and in need of catchy story. Check out the news clipping below from Grey Towers National Historic site. Pep was featured in the Dec. 26, 1925 issue of the Boston Daily Globe. But Gov. Pinchot's wife, Cornelia, later set the tall tale straight in an interview with The New York Times. Pep spent the rest of his life at Eastern State Penitentiary. He died in the 1930s and was buried somewhere in the grounds.